October 8, 1929: is created the Compañía Nacional Cubana de Aviación Curtiss, S.A. (CNCAC), -National Company Cubana of Aviation Curtiss, Inc.-, as a subsidiary of the North American Aviation Inc., part of the Curtiss aviation group. Figure among the first aerolíneas that opened the commercial flights and has been characterized, since the begin, by the continuous improvements of its services. Their first airplanes were airplanes Curtiss Robin (Thrust). For this date are four the existing Cuban airlines: Servicio Cubano de Aviación (Cuban Aviation Service), Compañía Nacional Cubana de Aviación Curtiss (National Company Cubana of Aviation Curtiss, Inc), Líneas Aéreas de Cuba (Air Lines of Cuba), and the Compañía Nacional Cubana de Transporte Aéreo (National Cuban Company of Air Transportation). The Servicio Cubano de Aviación (Cuban Aviation Service), the second aviation firm registered in Cuba, had been created on setiembre of 1929. This company counted then with a Fairchild-71 of 6 passengers and a New Standard of 4 passengers. 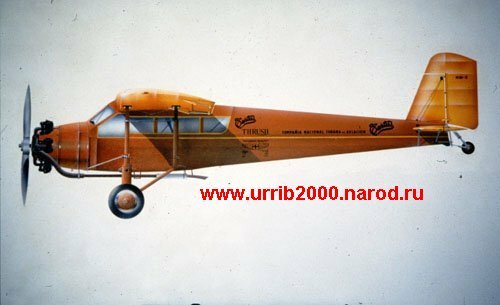 October 30, 1930 is performed the first flight of the route Havana-Santiago de Cuba by the Compañía Nacional Cubana de Aviación Curtiss, S.A., that transports air mail with an airplane tri-motor Ford that did scale in Santa Clara, Morón and Camaguey. In that same year, the Cuban government granted to the Company the Contract for the Air Postal Service. 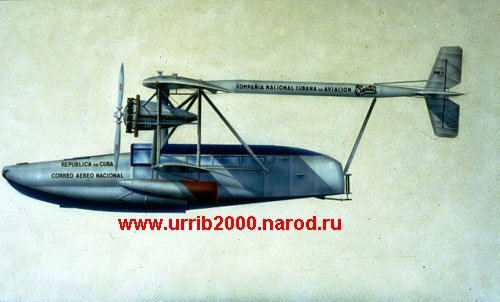 April 1, 1931 Cubana receives a twin-engined anphibious Sikorsky S-38 to operate among Holguín and Baracoa, with scales in Antilla and Cayo Mambí. The Sikorsky landed in Holguín and landed at sea in Cayo Mambí and Baracoa, being one of the first flights in the world of those characteristics. January 1, 1932 inaugurates the service of passengers among Santiago of Cuba and Guantánamo. Also in 1932 Cuban began every Tuesday regular flights to the Isla de Pinos. November 17, 1931 Lindberg inaugurates the routes of the Pan American from Cuba to Sudamérica in the Sikorsky American Clipper. 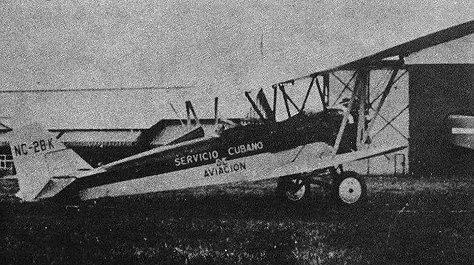 March 22, 1932: Pan American Airways acquires the Compañía Nacional Cubana de Aviación Curtiss, S.A. buying all its actions. Little later, May 6, 1932, changes the structure and the name by Compañía Nacional Cubana de Aviación S.A. (CNCA), -National Company Cubana of Aviation Inc.-, subsidiary of Pan American. Cubana it is shown as an efficient domestic company. July 29, 1935 the Compañía Nacional Cubana de Aviación S.A. substitutes the tri-motors Ford with equipment Lockheed L-10 Electra and one Sikorsky S-38, increasing its annual utilities. That equipment permits to expand the itineraries to almost all the island, the national routes of the Company were expanded to Baracoa, Antilla, Guantánamo and Cayo Mambí. With the Electra, the time of the flight Havana - Santiago de Cuba is reduced from 6 h.15 min to 4 h.15 min. 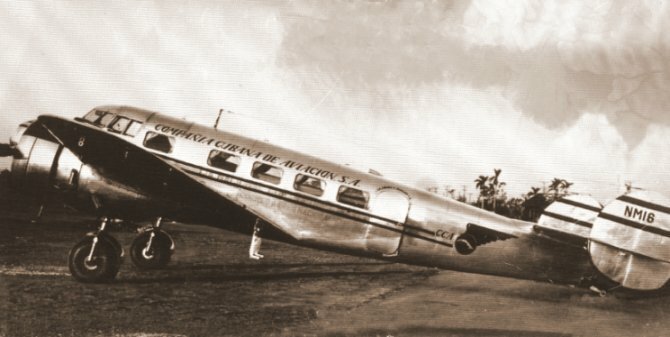 The service was called "The Cuban Air Ltd." For the need of technician personal of flight and the development acquired in the aeronautic infrastructure, is based on 1936 in Havana, the first School of the Civil Aviation in Cuba, directed by Ramiro Leonard, considered an ace of the aviation of its epoch. In 1939 in the Republican Cuba had already 21 airplanes registered, and of them, 12 airplanes belonged to the Compañía Nacional Cubana de Aviación. This year the Cuban Red Cross buys a Stinson SR-8 Reliant, with the purpose of utilizing it in cases of emergency. June 3, 1940 is created the Academia Nacional de Aviación Civil y Reserva Aérea (ANACRA). -National Academy of Civil Aviation and Air Reserve-. To the curses are presented more than thousand youths, but the capacity was for only 150 students. 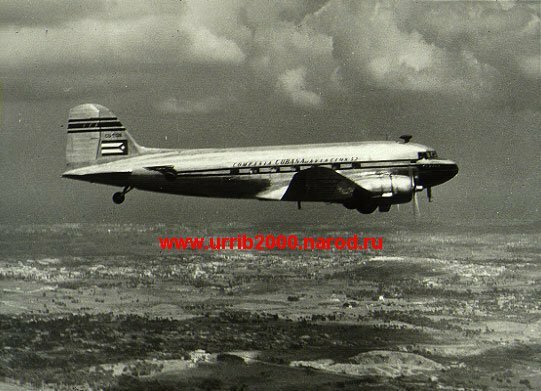 In 1942 is organized another Cuban air company, the Expreso Aéreo Interamericano (Interamerican Air Express), that performs its inaugural flight Havana-San Salvador with a Curtiss C-46. In 1942 is manufactured the first Cuban airplane, the CUT-143 "Estrella Errante" ("Wandering Star"), designed and build by the Cmdte. Benigno Díaz y Doval, the 1er Tte. Jorge Merlo and the Mr. Roberto Gude. 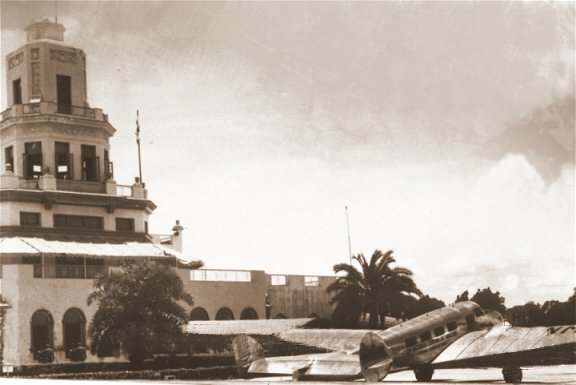 January 14, 1943 is inaugurated in the country the first control tower, build in the Rancho Boyeros airport of Havana. In January 27, 1944 is created the Union of Workers of the Air Transportation of Havana. Finalizing the war, February 8, 1945 was made the Decree 409, by the one that the control of the civil aviation is transferred, up till then in charge of the Army, assigning it to the National Commission of Transportations. March 21, 1944 was changed the name of the Compañía Nacional Cubana de Aviación to Compañía Cubana de Aviación S.A. (Cubana of Aviation Company Inc.), by agreement of the Central Meeting of stock Holders. The Pan American goes losing gradually its influence. In 1945 they sold to Cuban actioners more actions of the Company, retaining the Pan American the 42% of the interests. Cuba is chosen as headquarters for the constitution of the most important civil organizations of aviation of the world. In November 1, 1944 in Havana was open the International Conference of the Civil Aviation, of which was created the OACI, and of whose covenant Cuba was signatory and member founder.